MailChimp is a great newsletter service provider. 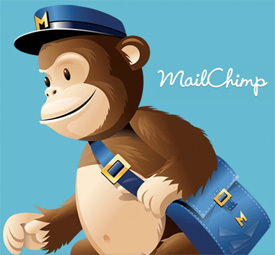 CINTACS can help you integrate MailChimp into your website. When you sign up for a MailChimp account - you will have access to features that include: templates, custom theming options, a drag and drop user interface, and analytics. Email is a more personal mode of communication. People check their email every day. You should keep design and copy minimal. The goal is to get your subscribers to open your email and provide them with brief articles that direct them to the full article on your website or blog. It's important to make your subject line stand out! Let potential subscribers know how often they can expect to hear from you. Make it easy for people to unsubscribe so your newsletter doesn't get marked as spam.